Understand it is the coping stones at the platform edge. May be closed over the weekend too. Journeycheck shows all service that should have called not doing so today. In both directions, I note. Initially noted on the (extended) TransWilts services so posted on this board, is now more general to I have started a separate thread at http://www.firstgreatwestern.info/coffeeshop/index.php?topic=21259 . 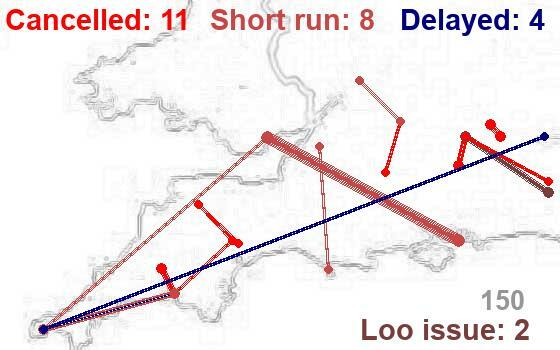 14:10 Frome to Swindon due 15:07 has been delayed between Melksham and Chippenham and is now 11 minutes late. This is due to congestion. 15:19 Swindon to Westbury due 16:00 has been delayed at Swindon and is now 3 minutes late. Provided it connects at Westbury, no problem me thinks. 17:41 Cheltenham Spa to Southampton Central due 20:44 will be terminated at Westbury. 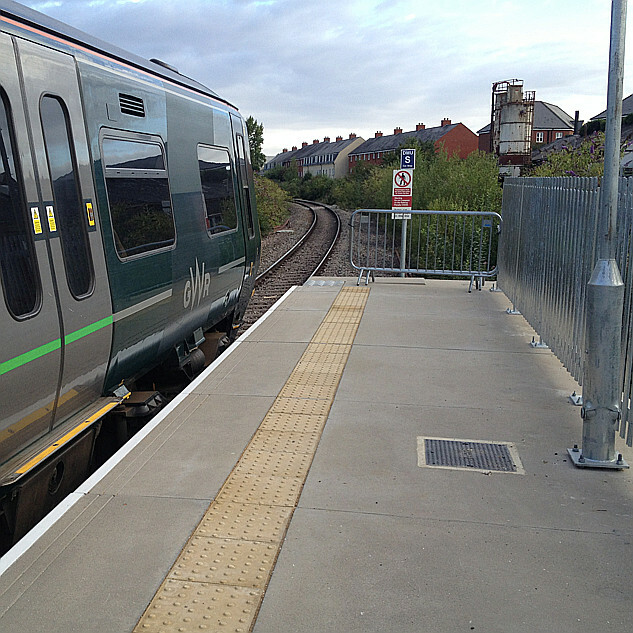 It will no longer call at Dilton Marsh, Warminster, Salisbury, Romsey and Southampton Central. 18:30 Cardiff Central to Portsmouth Harbour due 21:55 will call additionally at Dilton Marsh. This is due to the train making extra stops because a train was cancelled. 20:23 Portsmouth Harbour to Cardiff Central due 23:55 will call additionally at Dilton Marsh. It will be delayed at Southampton Central and is expected to be 10 minutes late. So taking the path of the 21:20 cancelled train off Southampton. Makes sense. The ticket vending machines are out of order at Melksham station. Please purchase tickets at the ticket office or, if unavailable, at the first available opportunity to do so when no other means of purchasing them is available at the station. 05:17 Gloucester to Southampton Central due 08:09 has been delayed at Swindon and is now 12 minutes late. 09:46 Westbury to Swindon due 10:32 will be starting late from Westbury and is expected to be 15 minutes late. 10:47 Swindon to Westbury due 11:28 will be started from Chippenham. It will no longer call at Swindon. 11:47 Westbury to Swindon due 12:32 will be starting late from Westbury. 05:17 Gloucester to Southampton Central due 08:09 will be terminated at Westbury. Indeed. I was on it. Bus ride, or changing at Westbury? These trains would be much more saleable and popular across Westbury if there were also through trains in the other direction!